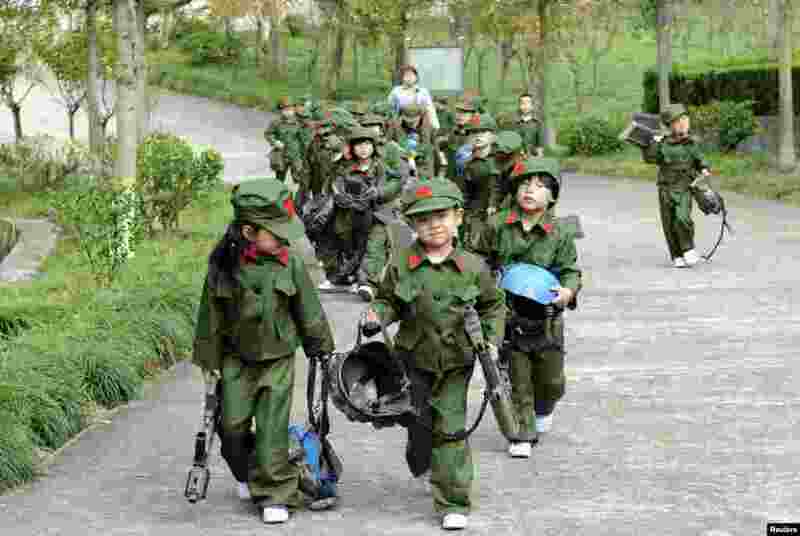 2 Kindergarten children dressed in military uniforms carry toy guns at a park in Dongyang, Zhejiang province, China. 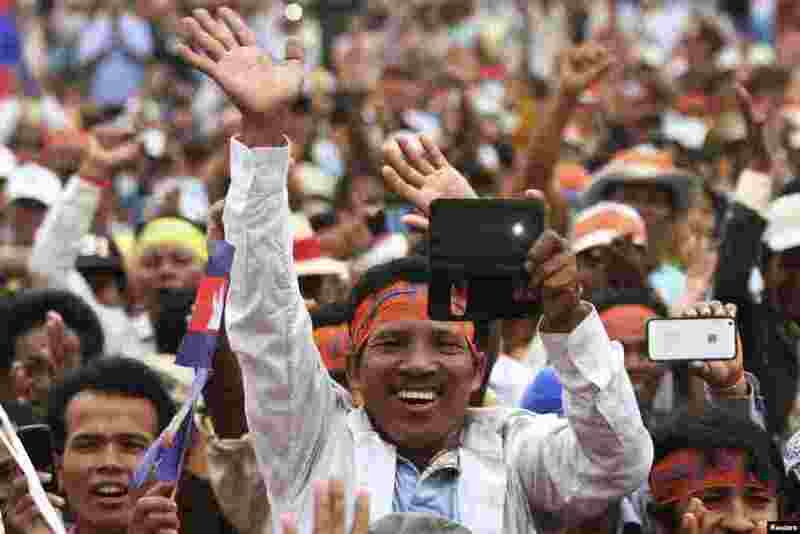 3 Supporters of the opposition Cambodia National Rescue Party (CNRP) gather at Freedom Park during a protest in central Phnom Penh. The CNRP began a three-day mass demonstration over a disputed national election, which extended the long-serving Prime Minister Hun Sen's rule for another five years. 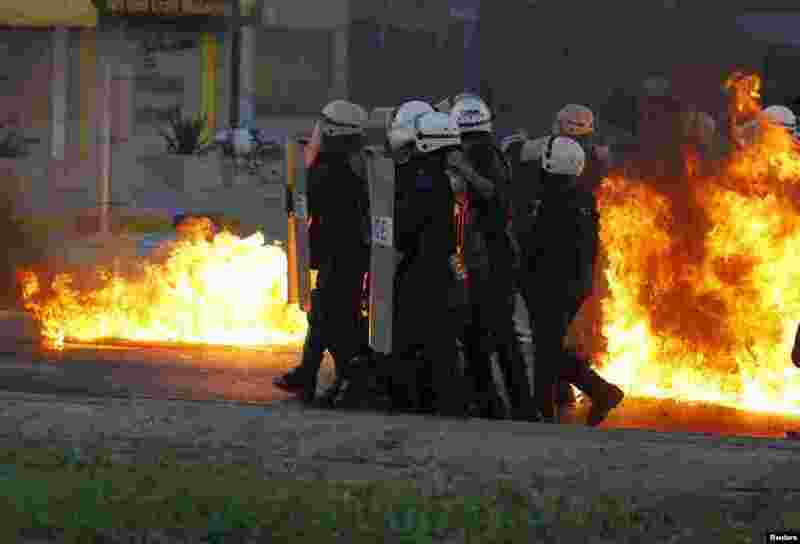 4 Riot police advance behind the cover of their shields as flames from Molotov cocktails thrown by anti-government protesters burn around them during clashes in Budaiya, west of Manama, Bahrain.